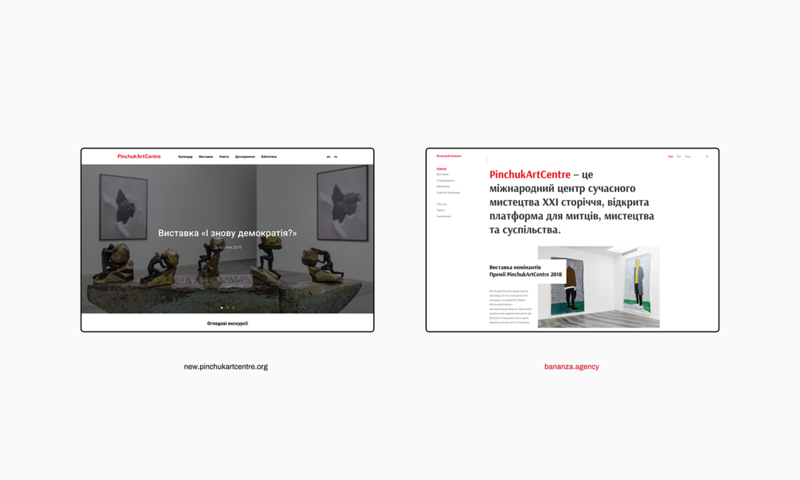 The PinchukArtCentre is a center of contemporary art, located in Kyiv. It was opened on September 16, 2006, by the Victor Pinchuk Foundation. 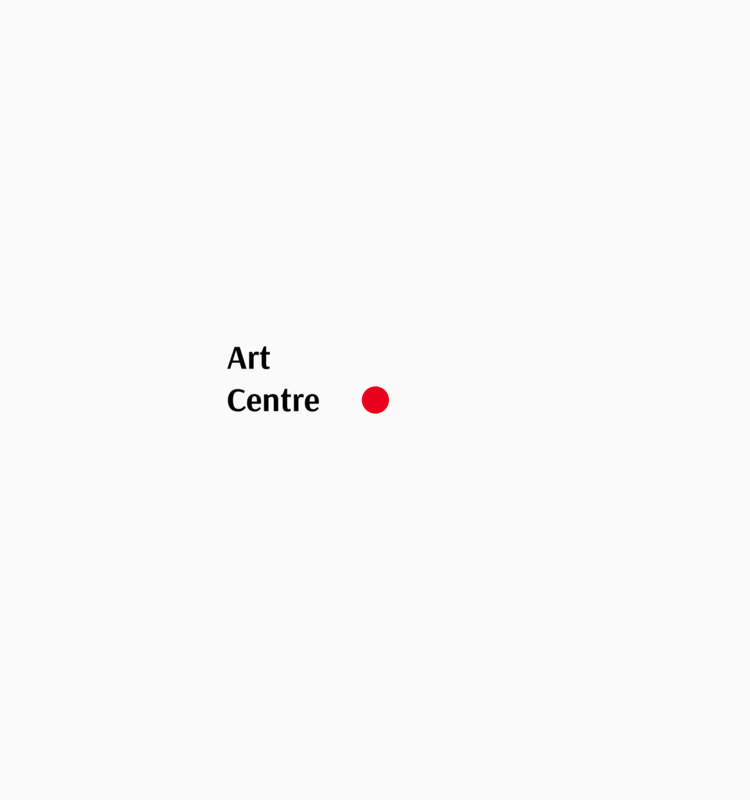 The PinchukArtCentre is the international center for contemporary art of the 21st century. 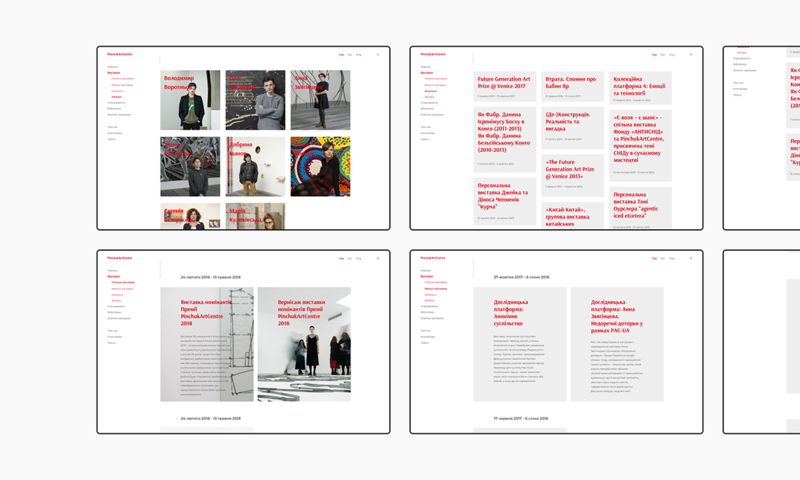 It is an open platform for artists, artwork and society. 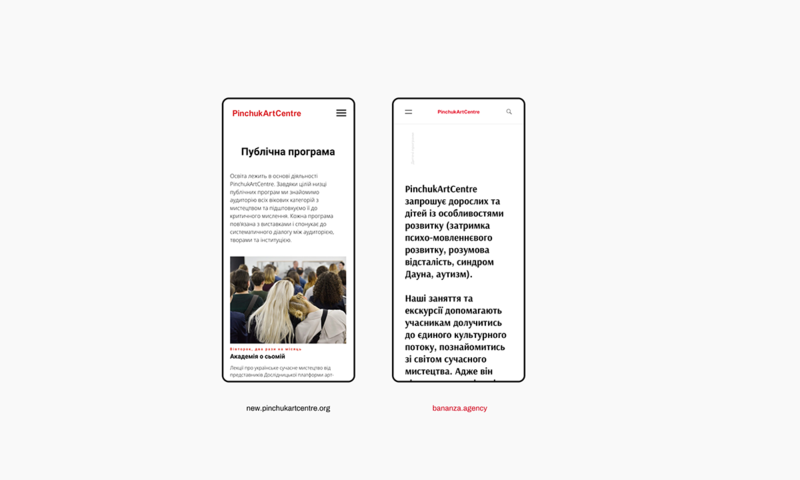 The main idea was that the visual imagery of the site should not differ from the visual imagery of the PinchukArtCenter. 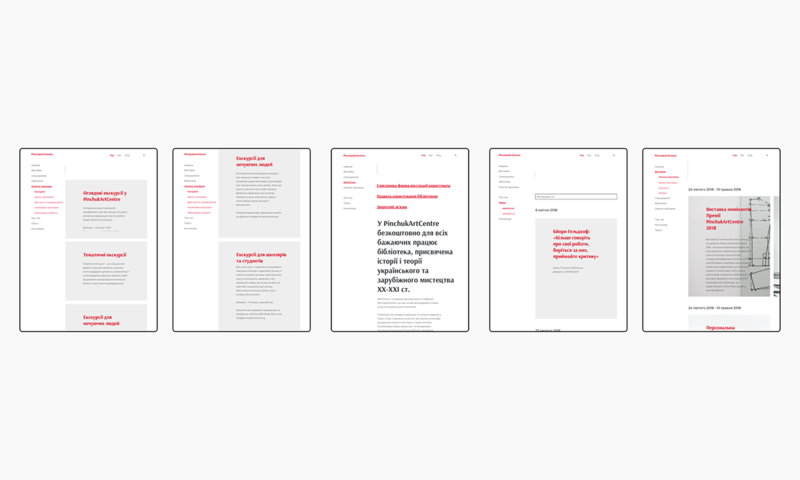 For this reason, similar typography and block layout logic of the website inherited from the physical gallery space. 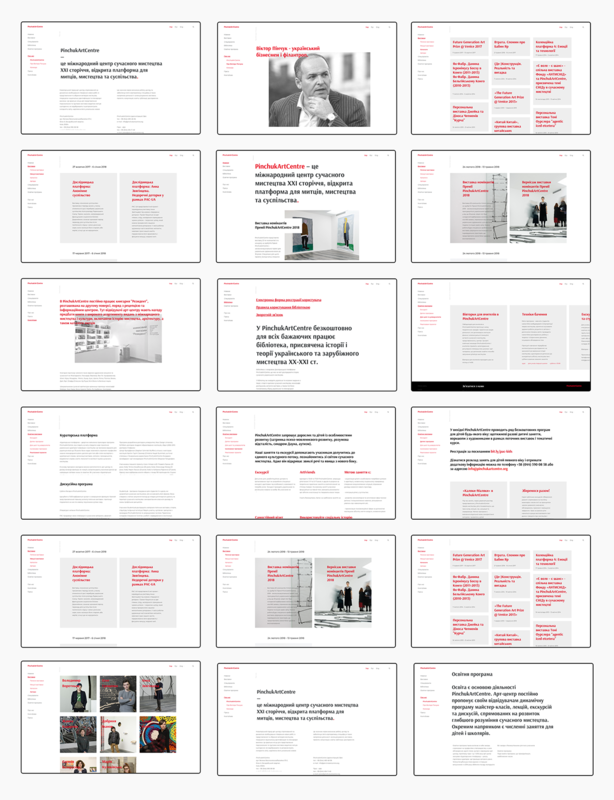 of the content-driven web design. 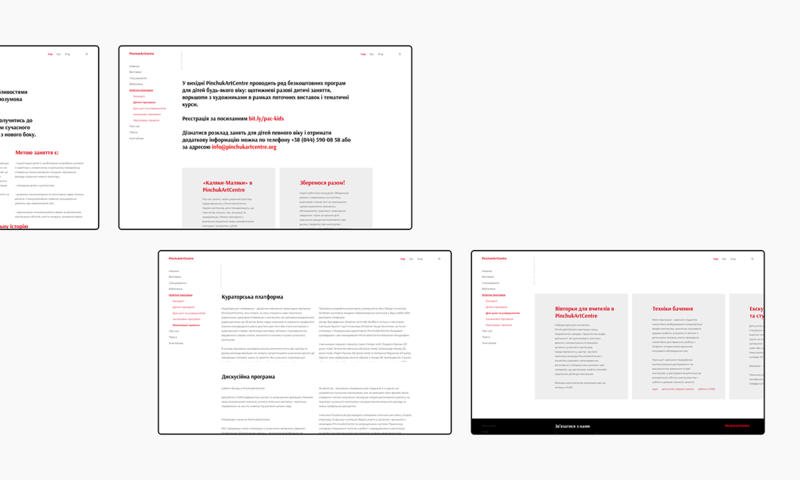 We decided to simplify the navigation through the site, nevertheless keeping the website's architectural decision. 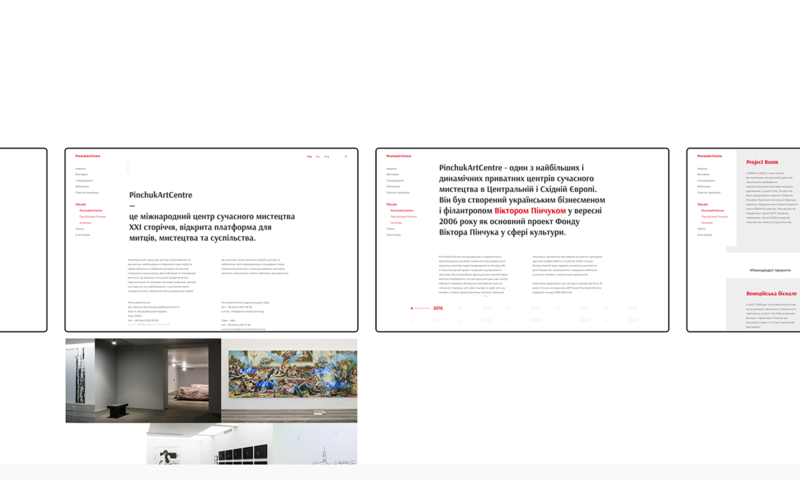 When people go to the site, they have to realize that this is a website of the gallery of modern art from the first moment. So, the gallery's vibe and style should be saved. The PinchukArtCentre was founded in September 2006 by businessman and philanthropist Victor Pinchuk. 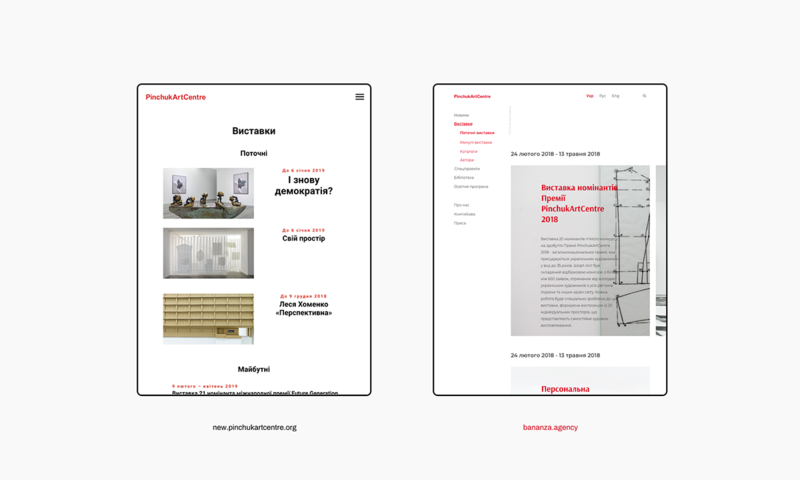 It is one the largest and most dynamic private contemporary art centres in Central and Eastern Europe. 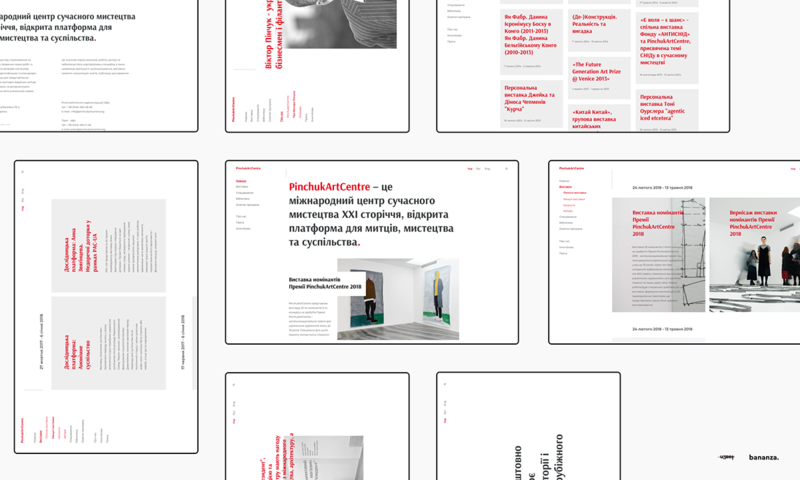 With over 3 million visitors, the PinchukArtCentre has become an international hub for contemporary art, developing the Ukrainian art scene while generating critical public discourse for society as a whole.